Several years ago a customer of mine was clearing his land near Big Spring, TX. 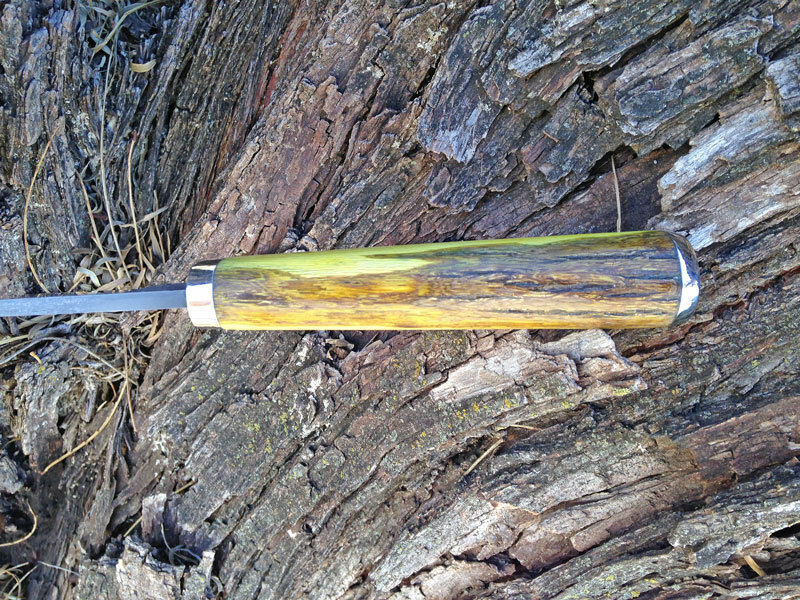 He called me to see if I could use some of the Algerita bushes he was clearing to make him a knife. He sent me a piece of the wood, about 1 inch round and 12 inches long. Algerita is an interesting native Texas shrub, with holly-like pointy leaves and edible red berries. The wood is bright yellow. 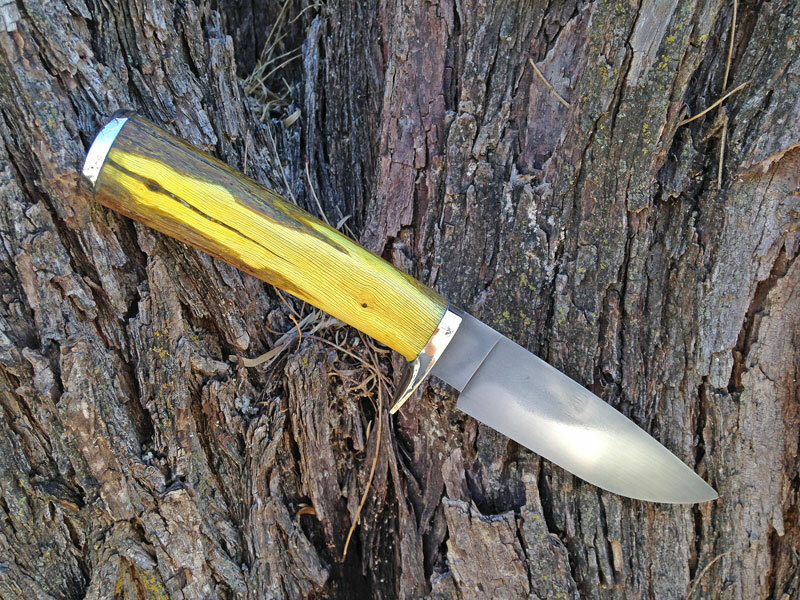 After I let the wood dry for a couple of years, I finally got it out and made the knife. I thought the bark was interesting, so I treated the wood kind of like stag, grinding down to the center but leaving some of the bark for contrast. 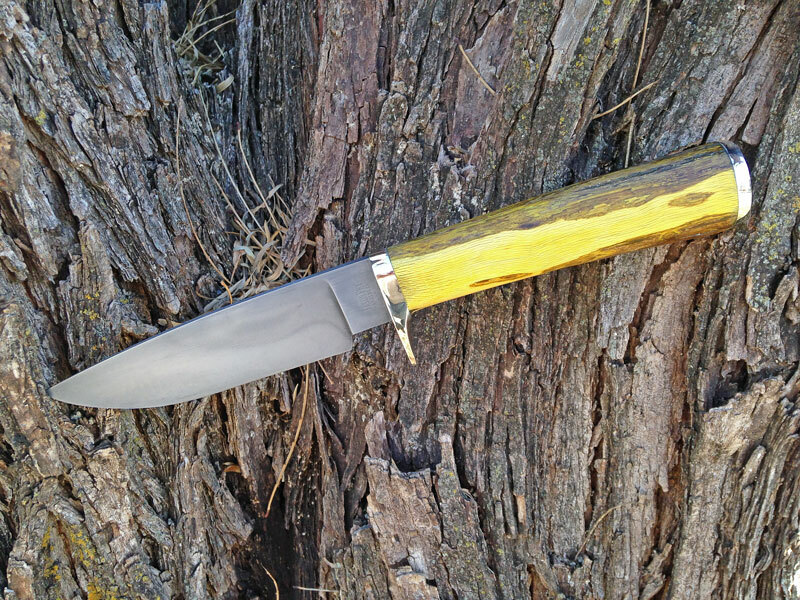 My customer requested a hamon, so I used 1095 steel and an interrupted quench. The fittings are nickel silver. 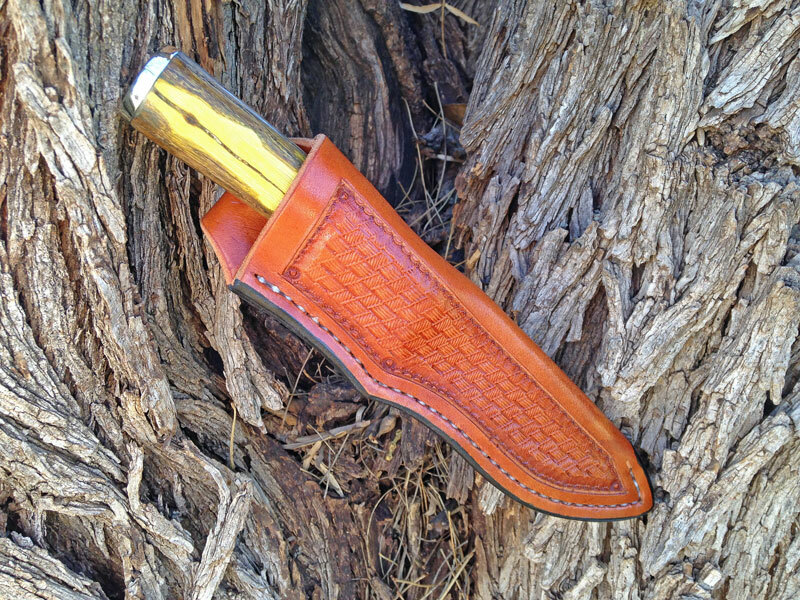 Overall length is 9 inches with a 4.5 inch blade.